Every Tuesday morning and afternoon, The Holy Biscuit hosts free oil painting sessions for anyone – whether you have painted before or not! The sessions are free and all materials are provided. Just come prepared (in old clothes) to have lots of fun! 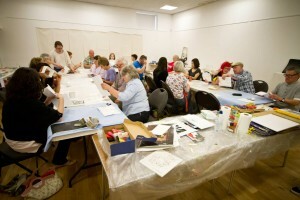 The sessions run every Tuesday 10.00am – 12 noon & 2.00-4.00pm. There will be no Painting for Fun sessions on 16th April.